Naira appreciates as CBN pump $180million – Royal Times of Nigeria. The value of the greenback has continued to improve at the black market as the government continues to pump foreign exchange into the economy. 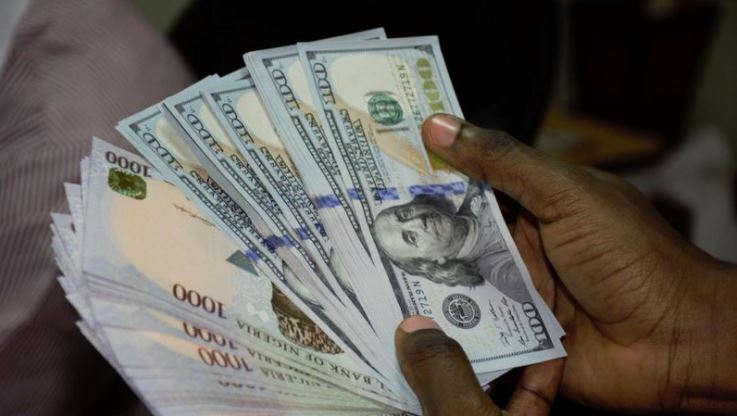 The Nigerian currency appreciated to 435 per dollar on Monday, as the Central Bank of Nigeria (CBN) pumped a total of $180 million into the foreign exchange market. Vanguard reports that the parallel market exchange rate, which declined to N445 per dollar last week, further dropped to N435 per dollar at the close of business, yesterday, translating to 3.4 per cent appreciation of the naira. The naira appreciation is being driven by decline in demand for dollars occasioned by increase dollar supply by the Central Bank of Nigeria (CBN).